The health-motivated amongst are constantly on the lookout for the best foods they can find to help with achieving optimum vitality and wellness. 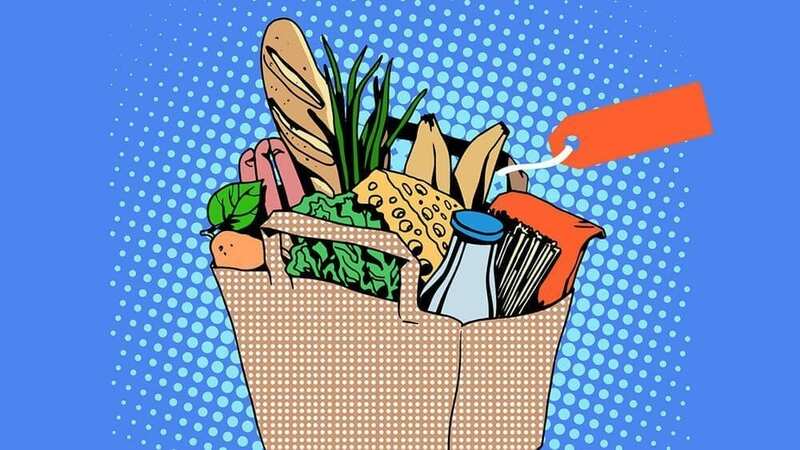 The media, and food packaging itself, are two main sources of information when it comes to what we eat and what is available on the market. We ought to be able to look to these for guidance and trust in what we are told. However, the green monster (money) seems to have taken over even when it comes to our health. We are fed mountainous diversions from the truth when it comes to advertising foodstuffs; packaging disguises all the negative sides of a beverage or snack behind a minor ingredient within it that may provide a little nutritional goodness. Apparently, as long as it isn’t flat out lying it passes as acceptable. One needs a discerning eye to be able to decipher the language and discover the reality behind the wrapping. The truth is that the reality is being hidden and we are being duped. So when we are persistently informed that something is bad for us and that to choose a healthier option would be better for us, we would naturally expect to be able to trust in this information…right? Well, sadly no…here are three eye-opening examples of “healthy options” that we are persistently informed are better for our health than their alternatives. We investigate the reality of these claims and the health benefits, or deficits. We have been led to believe that if something presents itself as low in sugar then it must be better for us than its full-of-sugar counterparts. Back in the sixties, sugars in drinks were replaced with artificial sweeteners and the shift to low calorie drinks began, marketed at dieters for weight loss/control and those with diabetes. Nobody seemed to question what the sugar had been replaced with and whether these new ingredients would have any health effects, due to that previously mentioned trust. These replacements came in the form of saccharin, asparteme, acesulfama-K, sucralose, etc. which now are present in thousands of products worldwide. Saccharin was banned in the 80’s due to lab rats developing bladder cancer post-testing this chemical compound. It was then reintroduced with health warnings as it was discovered that this would not relate to humans and was therefore eventually deemed ‘safe’ for consumption. Later all health warnings were removed. I cant help but wonder whether the big business of “diet” drinks might have something to do with that. Asparteme is one of the most widely used artificial sweeteners today. It is a man-made chemical compound; one of the famous E numbers (E951) everyone talks about but we generally don’t know much about it. It was first used as the brand NutraSweet in 1965 and ever since its medical controversies have been the subject of many discussions and studies. It is 200 times sweeter than sugar, and studies have found that rather than fulfil its objective of helping with weight loss, it in fact may be related to weight gain and heart disease risks. There have been concerns that it could cause neurological symptoms, tumours, seizures, headaches and mood changes, but the findings were not consistent enough to support this with governing bodies rejecting the studies claiming them to be flawed. It has been deemed safe for human consumption by 90 countries and has been under such scrutiny that it has been tested more than any other ingredient to ensure this. Personally, I feel that anything that has suffered such controversy and intense study due to health risks raises a red flag to me whether it is FDA approved or not. However, we are assured that we are not at any risk from consumption if we stick to the recommended daily intake. So we are not at actual risk from these artificial chemical compounds of sweetness yet the question still remains, are the “sugar-free”, “diet”, “low in sugar” foods and drinks we are sold actually making any difference as far as weight gain? A report in the Canadian Medical Association Journal published a study which followed research on 400,000 people over a span of 10 years and their controlled consumption of one or more artificially sweetened drinks per day. None of the subjects lost any weight or controlled their weight. The results showed they were far more at risk of weight gain obesity, diabetes and heart disease. 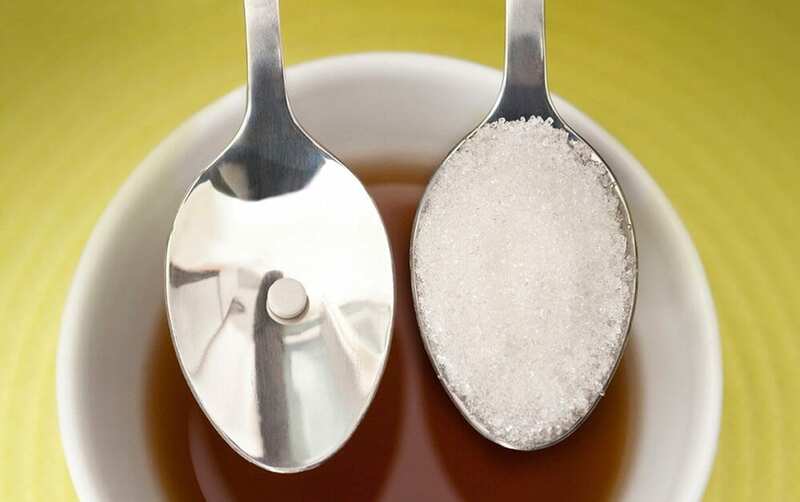 The bottom line: Our bodies will do better if we consume less sugar and artificial sweeteners. Processed foods and drinks are not good for us and are not a healthy option. They will not help us lose weight. Regular exercise and a balanced diet, including plenty of fresh fruit and vegetables is really the only sure fire way to get healthy. Check packaging and opt for food and drinks that are low in sugar, but steer clear of artificial sweeteners. 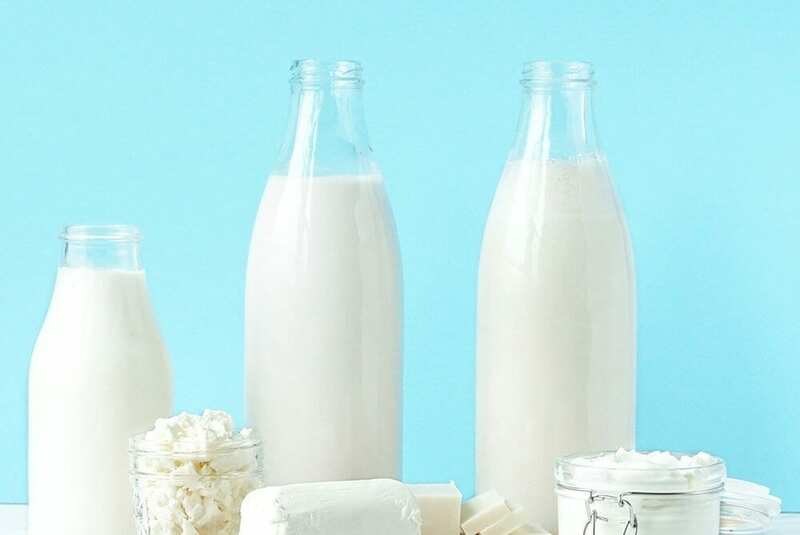 Low fat substitutes are used in place of the so-called unhealthy fats, but what these replacements actually are is something we rarely think about. We need to know what we are putting into our bodies, to completely avoid the fact is both ignorant and risky. An example of this is that many health conscious people will opt for a salad as a healthy lunch option, selecting a low-fat salad dressing in order to keep the calories and cholesterol down and the nutrition high. Again, what has the fat been replaced with, and how? The answer is simple; artificial flavouring, high-fructose corn syrup, hydrogenated oils or trans-fats, which are all to be avoided as they are not good for our health; they are linked to inflammation, heart disease and obesity. Therefore anything claiming to be “low in fat” needs to be investigated thoroughly before any trust or belief in its health benefits are assumed. Generally, we are talking about anything that has been processed. Additives are put in place of fats, often in the form of sugars, aka fructose. Low in fat will often mean high in sugars, possibly in the form of corn syrup which, in the United States, seems to be in almost everything! Breakfast cereals are promoted to be low in fat, high in fibre and contain whole-grains …have you ever looked at the sugar content of bran cereals? It’s around the same as sugar-coated cereals that we avoid giving to our children! Where an ingredient appears on the list of ingredients shows you how much there is of it. The first item on the list makes up the majority of the food. If sugar is third on the list you know there is plenty there. Excess amounts of fructose in our diets has been linked to increased risk of obesity, heart disease, kidney disease and more. In reality something claiming to be low-fat, such as the salad dressing we discussed earlier, is not actually beneficial as many of the nutrients present in the salad require a healthy dose of fats for our bodies to be able to retrieve said nutrients such as vitamins A, D, E and K which are fat soluble. If there is no fat present we cannot absorb the vitamins present. Bottom line: Check the list of ingredients on the packaging before purchasing anything claiming to be low in fat. Look out for, and avoid, artificial flavouring, hydrogenated fats, trans-fats, corn syrup (lowers metabolism and appetite control), anything fructose-based or sugars. When possible, make your own. A salad dressing needs healthy fats (as do our bodies) in order to allow us to absorb all the goodness the salad itself is offering up. Quality, extra virgin olive oil and vinegar, maybe a little mustard and salt and pepper, will do you far more good than a low-fat alternative. It will also leave you feeling more satiated, due to the ingestion of fat, which its low-fat alternatives will not, thus potentially causing you to snack in between meals. High Fibre & Whole-Grain Cereals and Breads vs Reality! 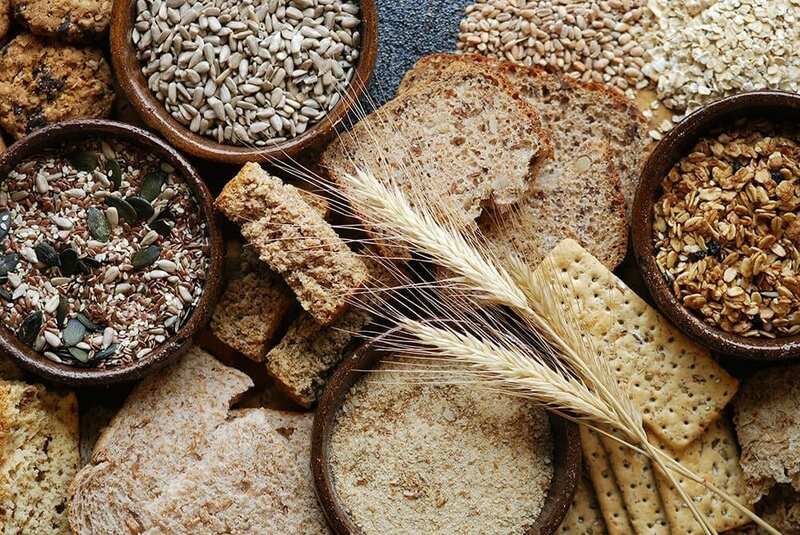 When ingested in their natural state whole grains and fibre can ward off colon cancer, diabetes and heart disease. Most whole-grain cereals and breads do contain whole grains but not in the manner suggested, generally they are ground down into a fine powder, and in this format acts just as a sugar or starch would. The presence of fibre can help to slow down the release of this into your bloodstream and help control bowel movements, however the cereals/breads themselves are unlikely to offer a nutritious start to your day because they take a simple cereal, add fibre and isolated nutrients plus many other questionable ingredients and a huge dose of sugar. These isolated nutrients do not induce the same health benefits as we would receive from whole foods. Bread packaging will state whole-grain, multi-grain, oats, fibre, etc. Any hint at the sign of something brown is set to induce a feeling of goodness and a healthier option. Checking the packaging will reveal a whole wonder of hidden travesties, refined or enriched flour being one; basically what white bread is made of. Check for fructose, or added sugars, artificial flavours, trans fats or hydrogenated oils. Look for a loaf with five or less ingredients if you want to aim for the healthier option. Fibre should be high on the list, and protein, go for sprouted grains and seeds which are more digestible and higher in nutrients, plus satiate hunger more effectively. Cereal boxes will shout from the rooftops that their contents are cancer fighting, heart healthly and good for weight loss. Yet the reality is that most are heavily processed, refined, high in sugars, calorie-dense and low in nutritious goodness. You’re better off heading for the more genuinely nutritious whole foods such as berries, seeds, nuts and proteins (as well as vegetables and fruits) and add these to pro-biotic yoghurt or a milk alternative in order to enrich your daily diet with fibre. Bottom line: Do not judge anything by its cover, or colour! Unfortunately, many so-called healthy choices turn out to be less beneficial than we assume. Because they often involve swapping fats and sugars for a plethora of chemical compounds. They may actually undermine, as opposed to support, your health goals. We need to read between the lines, and thoroughly examine those lines at all times, when it comes to checking what is in our food and drink. Don’t fall for the disguise of a healthy option and be undermined in your pursuit of health and wellness. Bottom line: If you want to eat healthy; make it yourself! Here at the School of Natural Health Sciences we offer seven courses for those interested in nutrition – Clinical Nutrition, Advanced Nutrition, Child & Adolescent Nutrition, Ethical & Sustainable Eating, Nutrition for Aged 50 Plus, Sport & Exercise Nutrition and Vegan & Vegetarian Nutrition. All these distance learning diploma courses are accredited in 26 countries worldwide, meaning you can get into business as soon as you have passed your course!